There’s a change happening in the digital marketing world and it’s sure to have a huge impact. 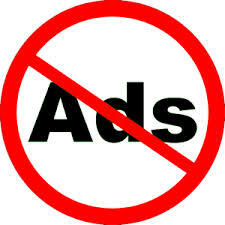 It’s not a secret, a lot of people don’t like seeing ads online. For years people have had the ability to block online ads from showing up on their screens, but it took a little bit of work and usually required the use of third-party applications. It’s about to become a lot easier for people to block digital ads. Ad-blocking is going mainstream, Apple recently announced that ad blocking will be an easy to access option in their upcoming iOS 9. It’s fair to assume that other operating systems will follow suit. It’s estimated that five percent of today’s Internet users are using some form of ad blocking on their systems, but the amount of people blocking ads has grown sharply by 69 percent over the last 12 months. The numbers are increasing across all platforms and are not limited to any specific region in the world. Some digital advertisers are trying to adapt quickly. They’ve placed more of their budgets into things such as banners, auto-play videos, pop-ups, page wraps and other on page advertising methods. It’s possible that negative feedback may be felt by online publishers that present too many advertisements to their audiences. It’s likely that we’ll see publishers take a more organic approach to solving this potential revenue challenge. Publishers such as Wired and Mixcloud have begun a marketing campaign that explains how a lack of advertising revenue can negatively the content on their platforms. They are hoping that by educating their readers they will see less of their ads being blocked. Publishers will likely consider having more paywalls (a system that blocks content unless the user has a paid subscription) to their sites. This will allow them to generate revenue directly from their content instead of from advertisements. We’re seeing some websites take a much harder approach to this problem. Some publishers are blocking people with ad blocking enabled from accessing their content completely. Hulu has recently begun doing this for their video streaming service. Eventually, this strategy may cost Hulu a lot of visitors and therefore hurt their bottom line. Software solutions that flag people with ad-blocking enabled are beginning to appear on the market. Some of these software products will produce unique ads that will sneak through a person’s block settings. The Internet’s biggest players are also taking note of this growing trend. Google and Microsoft are now paying to have their ads forced through the blockers. This approach presents a lot of ethical questions. Allowing big Internet companies the ability to buy their way past regulations would violate network neutrality. Maybe having less advertisements will make the Internet a better place. Advertisers may need to focus more on quality as opposed to quantity. This could create less wasted digital space and more engaging advertisements for people to view. It’s likely that the cost per advertisement will substantially increase. Websites with strong content and user friendly layouts may be the winner in this new digital competition for ad space. A better performing website will produce more qualified people viewing ads. It may be hard for many advertisers to see the impact of more ad blockers today, but it’s a change that’s coming. The tipping point may come when Apple officially brings iOS 9 to the market this upcoming autumn. At the end of the day this may be a great change for the digital marketing world. We’re going to be forced to be more creative and engaging with our advertisements. A lot more time will be spent reviewing analytics information to ensure we have a winning advertising message. Being able to adapt and change are keys to being successful online and this upcoming change is no different.